Lucknow: Irrespective of the ultimate outcome of 2019 Lok Sabha elections, there are two constituencies the Congress will go all out to retain — Raebareli and Amethi in Uttar Pradesh. 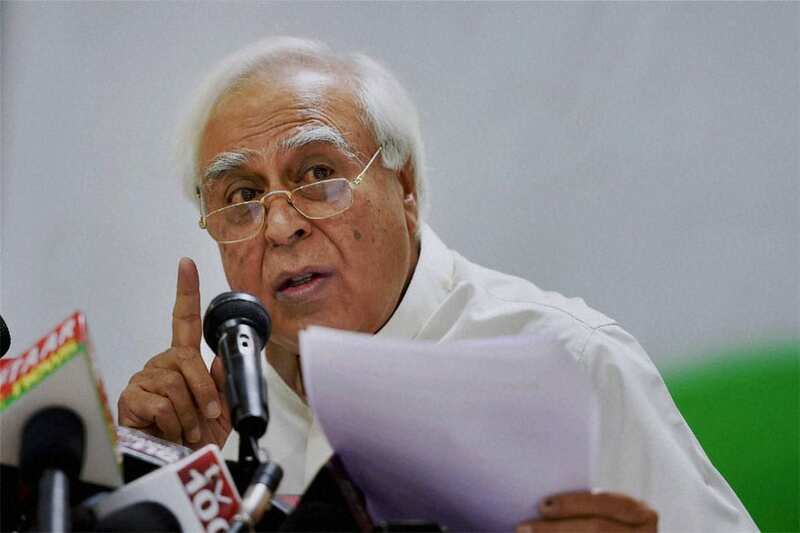 The battle for the two bastions is heating up months before the elections, with senior Congress leader Kapil Sibal announcing Rs 2 crore for Amethi, the constituency of Congress president Rahul Gandhi, from his MP Local Area Development (MPLAD) fund. The move comes days after Union minister Arun Jaitley announced the same amount from his MPLAD for former Congress chief Sonia Gandhi’s seat Raebareli. Both Sibal and Jaitley are Rajya Sabha members. Under the Members of Parliament Local Area Development Scheme (MPLADS), each MP has the choice to suggest to the district collector for works to the tune of Rs 5 crore per annum to be taken up in his/her constituency. A Rajya Sabha MP can recommend works in one or more districts in the state from where he/she has been elected. Speaking to News18, Congress district chief Yogendra Mishra said, "Congress president Rahul Gandhi is dedicated to developing Amethi, but the current government keeps bringing up issues to disrupt development. It is due to the continuous efforts of Rahul Gandhi that MPs like Kabil Sibal, PL Punia and Rekha are coming forward to give funds from their MPLAD for the development of Amethi." Actor-turned-MP Rekha had given Rs 2.5 crore from her MPLAD funds for Raebareli in November last year. Hitting back, BJP district chief Uma Shankar Pandey said, "Arun Jaitely had given funds from his MPLAD as Sonia Gandhi did not do enough for Raebareli. Now, Kabil Sibal is giving funds for political reasons. Rahul Gandhi is trying to indulge in cheap politics by asking his MPs to give MPLAD funds for his constituency." The BJP had made a strong push for Amethi in the 2014 Lok Sabha elections, fielding Smriti Irani against Rahul Gandhi. Irani lost the electoral battle, but continued making regular visits to the constituency and has questioned the Gandhi’s family’s contribution in the area. The saffron party’s attempt to breach Raebareli is more recent, one which the Congress is not likely to take lightly. Soon after the UP BJP announced Jaitley’s contribution to Raebareli, Congress MLA Aditi Singh said the “political stunt” won’t work. “Where was Mr Jaitley these four and a half years? People are smart enough to understand the tactics of the BJP when polls are around. Such things will hardly make any difference,” she had told News18. Indira Gandhi had won from Rae Bareli in 1980, while her elder son Rajiv Gandhi had represented Amethi in Lok Sabha in 1984, 1989 and 1991. Sanjay Gandhi had won from Amethi in 1980. In the 2014 parliamentary elections, the BJP won 71 seats in Uttar Pradesh, its ally Apna Dal got two, while the SP bagged five and the Congress won the remaining two.